Emmerson Mnangagwa’s government — which rose to power on the back of military action widely seen as a coup — should earn its legitimacy by delivering a credible election, strengthening democracy and human rights as well as ushering in progressive economic reforms. “An extended credit facility is therefore likely to be discussed at the IMF board meetings sometime in October. If funding is to come, it will be after a detailed economic programme with time-bound reforms. But it will be critical to get the Americans on board because they are very influential at the IMF and World Bank,” an official said. The bloc however said the support was tied to “peaceful, inclusive, credible and transparent” elections and reforms. America has also insisted on credible reforms and elections before normalising relations with Harare. Officials say Western capitals, which hold sway at the IMF and World Bank, have been encouraged by Mnangagwa’s reformist talk but want to see tangible progress on the ground. 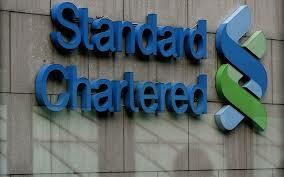 The Independent in December 2016 reported that StanChart had unexpectedly agreed to shell out US$262 million to bail out president Robert Mugabe’s bankrupt regime. The documents showed the British bank, which operates a network of over 1 200 branches and outlets across more than 70 countries around the world, including Zimbabwe, would pay US$262 million towards Harare’s debt to AfDB. Following Mugabe’s ouster, the Mnangagwa government has been re-engaging IMF officials with a view to bringing the Lima Plan back on track. “The government is saying the Lima Plan has the support of all members of cabinet unlike in the past. The government is setting stiff targets even where modest targets could have been better,” the official said. Currently, the government wage bill gobbles up more than 90% of total revenue. Government is also expected to strengthen financial sector stability and confidence, as well as accelerate the ease of doing business reforms and reduce the cost of doing business under the Rapid Results Approach to enhance investor confidence. Overhauling state-owned enterprises is also critical for Zimbabwe’s re-engagement process.